Enjoying his sixteenth season in English football, Millwall’s Carlos Edwards has performed in the Premier League and the FIFA World Cup during the past decade, and the Trinidad and Tobago right-sider has music, moves and memories to share from his career in a game he remains fascinated by. 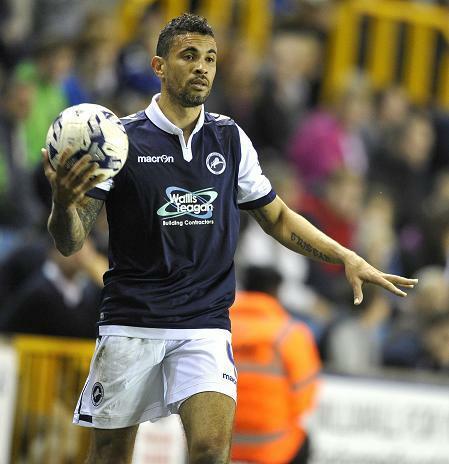 As Millwall hosted Nottingham Forest in a Championship clash in September 2014, the game passed without a goal or major incident, but it was significant in the career of Carlos Edwards as the Lions’ vastly experienced full-back/winger left the field on a stretcher. Suffering ruptured knee ligaments, it looked as if the former Sunderland man had played his last game for the club, with the South Londoners initially opting to release him upon the expiration of his contract last summer following their relegation. However, the man who undertook military service in his native Trinidad before carving out a professional career which would take him from England’s fourth tier to the Premier League was far from done. Earning emphatic praise from Millwall boss Neil Harris for his determination and ‘ultimate professionalism’ on his road to recovery, Carlos trained with the club over the summer and was rewarded for his endeavour in August with a contract for the remainder of the calendar year. Returning to action in September’s 1-0 home win over Peterborough United in the Johnstone’s Paint Trophy, the 37-year-old extended his deal in November to take him through to the end of the 2015/16 season. Currently set on helping the Lions to bridge the six-point gap to League One’s play-offs, the ex-Ipswich Town captain’s long lay-off had given ample opportunity for personal reflection. As a father and husband, he is never short on responsibility or ways to fill his time, but thinking back to his beginnings in the game it is quite incredible just how much his career has taken in since. Coming from a nation illuminated by music from one day to the next, song and rhythm has had an undoubted role to play in his journey, although that’s not to say his counterparts in the changing room have always been on the same page! “We always had terrible DJs! I would call them ‘DJ Kill Joy’; they used to absolutely kill the music and I think it hasn’t changed. Individual ability to turn a match is a necessity in promotion-winning sides, as is a core of strong spirit and know-how. In the Millwall ranks at present, Carlos is one of the most experienced figures alongside the likes of injured defender and captain Tony Craig, midfielder Jimmy Abdou and striker Steve Morison, yet perhaps understandably the only one in the squad to have played at a World Cup. In November 2005, Carlos was a key part of the Trinidad and Tobago team that secured their very first qualification for the tournament and Leo Beenhakker’s side went to Germany as the nation with the smallest population. From his international debut at the 1999 Caribbean Cup, Carlos saw an enormous improvement in the team’s ability over the years to come, ultimately getting to play for home crowds at Hasely Crawford Stadium which far surpassed anything the national stadium had previously been accustomed to. At the 2006 World Cup, he played the entirety of the team’s three games, wearing the number 11 in front of almost 63,000 in Dortmund for their opening 0-0 draw with Sweden. With losses to England and Paraguay, the Soca Warriors were eliminated, but it had been a truly historic and unforgettable time for all those draped in the red, white and black. Music is in the very soul of Trinidadian culture and the popular genre of soca is of course part of the national team’s aforementioned nickname. Carlos reveals one of the main performers to feature on the squad’s backing track through his years with the side. “One of Trinidad’s biggest artists is Machel Montano, who is also known in a few places around the world. We used to listen to a lot of his stuff as well as other artists, which would give the guys that extra boost. “It is a party in Trinidad; everything has something to do with music. People can get two spoons and a bottle to make music and a party. Those kinds of celebrations were in full force when qualification was sealed for that World Cup, with jubilant street parties accompanying the heroes’ welcome the team received when they touched down in Port of Spain after their win in Bahrain. Carlos’ former Wrexham teammate, the towering defender Dennis Lawrence, had scored the decisive goal in the second leg, after Port Vale’s Chris Birchall had rescued a draw in the home tie. Birchall was the interview subject on here in February 2014 and the Stafford-born midfielder shared some of his own experiences of the country’s love for a beat and melody. It is a colourful and expressive atmosphere Carlos likes to bask in and considering he met his wife, Denille, at the Trinidad and Tobago Carnival, it is accurate to say music has been a consistent backdrop in his life. “I think music is important in most people’s lives. It puts them at a bit of peace; if things aren’t going in a particular way you might put on a bit of music to calm your nerves. “As you can see in the modern-day game, about 99.9% of football teams have music in the changing rooms before kick-off, so you know it just sets the tone and gets the guys’ jitters out of their system and gets them more upbeat for the game. I love a bit of Bob Marley, who is obviously a legend and his music obviously lives on, so he is one of my favourites. Patna Village-raised, Carlos became a standout for the Soca Warriors despite having never played for the youth national teams before he made his senior debut. The late Ian Porterfield was one of his coaches, with the former Chelsea boss having a particular influence on him during his time in charge of the team. Before the prospect of a professional career ever seemed truly realistic, Carlos had starred at St. Anthony’s College back home, where his compatriot, ex-Sunderland teammate and presently-outgoing Cardiff City striker Kenwyne Jones would follow a few years after him. After Carlos scored the winner in the 1997 Inter-College Championship – the biggest junior tournament in Trinidad and Tobago – his coach at St. Anthony’s, Nigel Grosvenor, continued to impact upon him long after he left. He convinced Carlos to keep on the right path in his career and he subsequently joined the army, serving for two years and representing Defence Force on the pitch. Even after sixteen years in the UK, his Caribbean pride is as strong as it always was, although he does venture outside the island vibes with his music sometimes and recalls a hip-hop offering from Atlanta’s finest as most probably the first in his collection. Somewhat synonymous with Wrexham, former Wales and Liverpool defender Joey Jones arranged what turned out to be a successful trial at the club for Carlos. He would be joined at the Racecourse Ground by fellow Trinidadians Dennis Lawrence and Hector Sam, first playing for Brian Flynn before going on to hit double figures in Denis Smith’s promotion-winning 2002/03 side in Division Three. The club’s Player of the Year that season, he made the fourth tier’s PFA Team of the Year and repeated the feat a league higher the following campaign. He did much to dazzle Dragons supporters in his five years in North Wales, returning from a long-term knee injury in January 2005 to aid their fight against relegation from League One after a ten-point deduction in light of their significant financial struggles. Although Wrexham could not stay up that year, Carlos played all of their 2-0 LDV Vans Trophy final success over Southend United at The Millennium Stadium, in which Darren Ferguson and Juan Ugarte struck in extra-time. The latter of those memorably scored five times in the 6-4 win at Hartlepool that season and Carlos was also part of high-scoring wins at Oldham (5-3 in the LDV) and Stockport (4-1) in his final few months at the club. With 25 goals in 180 games, ‘King Carlos’ departed Wrexham in May 2005 for his first shot at the Championship, with newly-promoted Luton Town. He proved beyond doubt he could handle the step up and notched a career-best 11 goals in 2006/07 – six for the Hatters and five for Sunderland after a mid-season switch to Wearside. Roy Keane had brought him to the North East for £1.4million as he sought an instant return to the Premier League for the Black Cats and Carlos delivered one of the spectacular final punches in that regard. His sensational winning strike in the 3-2 televised victory at home to Burnley in April 2007 delighted the Stadium of Light faithful and set them up to claim promotion and the title in a 5-0 win at Luton the following weekend. As he thought back over players who’ve stepped forward to sing for the team as an initiation during his career, it was a high-profile and unmistakeable duo from his time in the Premier League who stood out above the others. “Oh my, there are a few! It has to be El Hadji Diouf and Djibril Cissé at Sunderland; they sang in French and have to be up there with the very worst. Debuting in the top flight at 28, Carlos endured a hamstring injury and a leg break during 2007/08 but still returned to help Sunderland survive. Spending time on loan with Wolves in the early months of their Championship-winning season, he was then back at his parent club to play a part in a second consecutive successful fight against relegation, this time under Ricky Sbragia. At the beginning of September 2009, Roy Keane went back to his old club to bring Carlos and teammate Grant Leadbitter to Ipswich. Tractor Boys skipper during a five-season stay, the Suffolk years will remain long in the memory for Carlos and he just about has a recollection of how he officially introduced himself to his colleagues. “All I can remember is when I went to Ipswich I sung Michael Jackson. I can’t remember what song exactly but I do recall that it went alright. As anyone who has tracked his career will confirm, Carlos has always had the ability to pull out a top-drawer strike and his first for Ipswich was exactly that in a 1-0 win at Sheffield Wednesday in February 2010. With a standout winner at Derby County in April 2013 in amongst the bunch, Carlos netted the last of his ten Town goals in a 3-1 win over Blackburn Rovers at Portman Road in December that year. Prior to his full-time switch to Millwall in the summer of 2014 he had been on loan with the club, bringing a conclusion to his Ipswich chapter. Carlos and Denille’s first daughter, Melanie, was born when Dad was with Sunderland, while twin girls Makayla and Makenzie arrived while he was at Ipswich. The life of Carlos’ young family will always be associated with his career, from birthplaces to the memories created in those years. It says it all about the condition he has maintained that Carlos has overcome setbacks to still be figuring regularly on match day at 37, and he is appreciative of all the game has brought him, in both enjoyable and trying times. One of the images etched into Carlos’ footballing memory bank is the sight of a beaming Dwight Yorke as Trinidad and Tobago achieved their World Cup dream in Bahrain National Stadium. With all the euphoria of that moment he could have been forgiven for thinking back to his grandfather, Claude Griffith, handing him his first pair of football boots, and how magical yet far, far off in the distance such an accomplishment would have seemed. In his time on the sidelines, Carlos never doubted he would get himself back to fitness and into the action once more. He has made 17 appearances so far this season and while Millwall’s form has stuttered of late they remain in touch with the top six as they look to find their way back to the Championship at the first attempt. 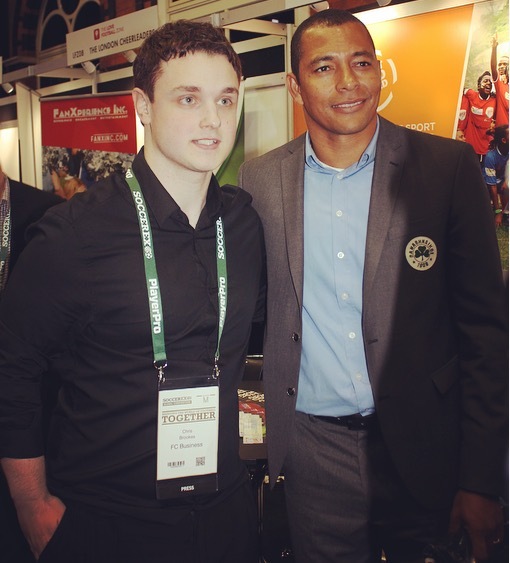 There have been certain influences for Carlos along the way in his life and in turn he wants to inspire others in the years to come, which he outlined when asked about any non-football interests or endeavours he has. 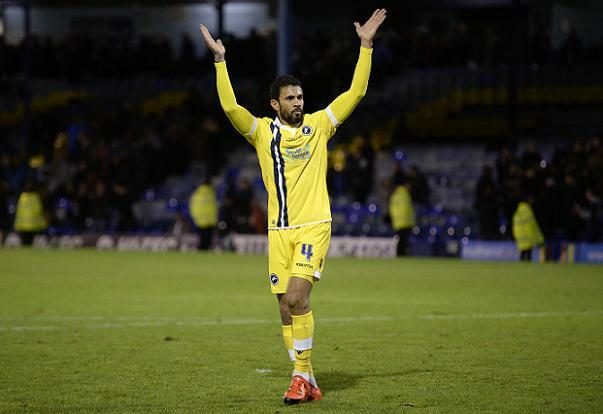 In April 2014, Carlos came up with the only goal of the game as Millwall beat a play-off-bound Wigan side in the Championship. It is his solitary strike for the Lions thus far and it came almost 14 years after he first found the net in English football, when he scored for Wrexham in their 4-3 victory at Oxford United in October 2000. Time will tell as to when we will last see him take to the field, although what is for sure is just how much enjoyment he has given to supporters through the years when at his best. Whether flying beyond opposing full-backs and dazzling with his wing play, or carrying out the defensive role we have become accustomed to in recent seasons, it has been a career to take immense heart from, and it is not done yet. Making the PFA Team of the Year for each division in the Football League, Carlos completed the climb to the top table by becoming a Premier League footballer, with World Cup appearances already to his name by then, just for good measure. If we were to transfer his talents to the 5-a-side arena and he was to be joined by four teammates from any time in his career, who would he choose to be surrounded by? This question is put to the interviewees to close out each of the features on this site, and while Carlos went for a mix of clubs when selecting his team, the fact he took two from his Wrexham days shows he has never forgotten the significance of where it all started for him over here. “This is tough! I would have to say Andy Dibble in goal, me at the back, Darren Ferguson in midfield along with Shaun Williams who I play with now, and David Connolly, who I played with at Sunderland and is now joint-coach of Millwall’s Under-18 side.